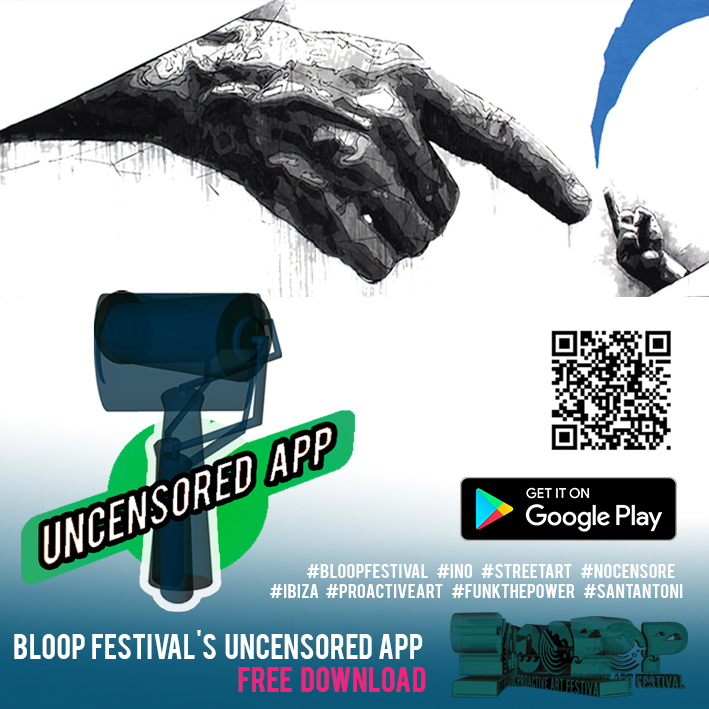 In 2016, after 6 years of BLOOP and the OpenAir.Gallery project, the cultural advisor of Sant Antoni censured one of our mural for the project. The exact reason why we decided not to collaborate with this institution. The mural was a piece on bullying by Greek artist Ino (who is participating this year as well and left us with a beautiful work on global warming). We decided to make the censured mural unephemeral by having everybody paint it “virtually” on any surface in the world. Just download the free app from the play store on android (link below). “Virtually” paint the mural, take a photo, being careful of the prospective and the dimensions, and share on your socials with the automatically generated hashtags. BLOOP 2017 is coming soon!